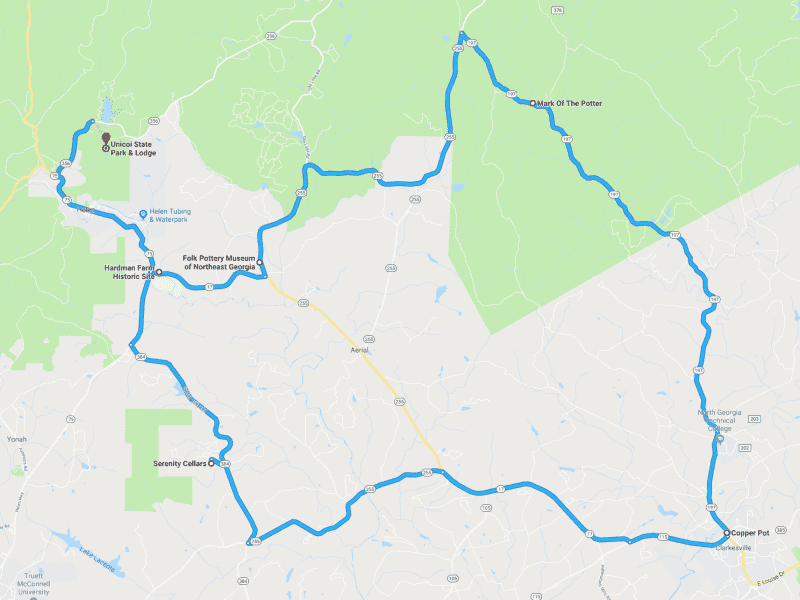 Scenic drive to two historic spots in the area for tours, a stop at a pottery museum and store, and a delicious lunch in Clarkesville. All that and a stop at a local winery in the afternoon await you on this fantastic drive. The focus is on destinations and scenery but there are some nice roads as well. The drive will only be about 48 miles (1+ hours driving time) but with stops this will be a full day of fun!